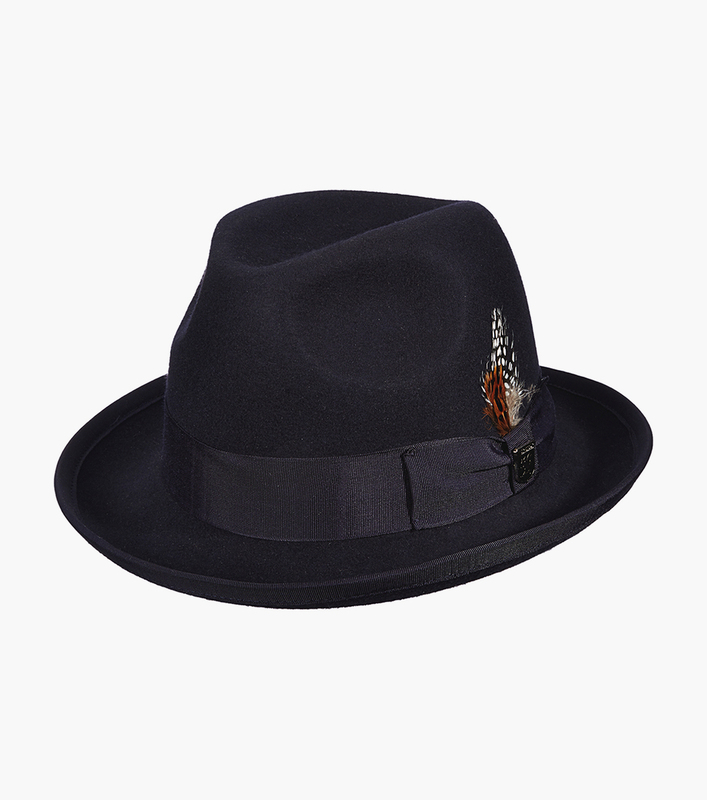 This is a Stacy Adams homburg hat. This hat is wool felt. This hat features a grosgrain band and satin lining. This hat has a 2" bound brim.